SAN FRANCISCO — The fourth annual Aloha by the Bay will take place Wednesday, Dec. 10, at 7 p.m. at the West Bay Conference Center, 1290 Fillmore St. in San Francisco. The benefit concert unites for the first time award-winning Hawaiian musicians on the same West Coast stage for one night only. Aloha is more than a greeting or word of farewell; it is a way of life. As often heard, the spirit of aloha encompasses kindness, generosity, empathy, and of course, love. The spirit of aloha comes to San Francisco to benefit the Nihonmachi Street Fair. Now in its 40th year, the NSF provides young Asian Americans opportunities to develop leadership skills, celebrate their culture, and encourage diversity while giving back to their community. The organizers are proud to present three highly acclaimed Island artists to share the message of aloha through traditional and contemporary Hawaiian music. 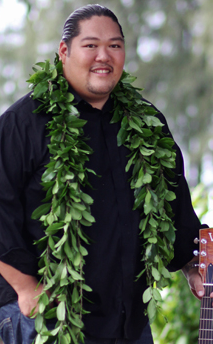 • Mark Yamanaka debuted on the Hawaiian music scene in 2010 with his solo album “Lei Pua Kenikeni.” That year, he took home four big Na Hoku Hanohano Awards (the island equivalent of the Grammys) — Album of the Year, Male Vocalist of the Year, Song of the Year (“Kaleoonalani”), and Most Promising Artist of the Year. 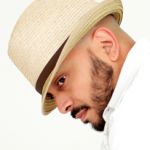 His winning streak placed him amongst Hawaiian music greats Keali’i Reichel and Willie K.
His 2013 album, “Lei Maile,” hit the Top 10 Billboard World Music Chart and was nominated in 10 categories, and more recently became a finalist in the 2014 Na Hoku Hanohano Awards. Yamanaka took home the Single of the Year award for “Maui Under Moonlight,” Male Vocalist of the Year, Hawaiian Album of the Year, and Album of the Year. 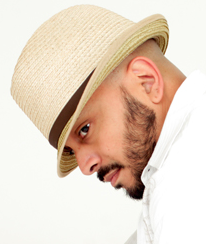 • Steven Espaniola offers a refreshing new spin on a traditional genre of music. Raised in Aliamanu, Hawaii and now residing in the Bay Area, he is a multi-instrumentalist specializing in ki ho’alu (hawaiian slack key guitar), ‘ukulele, upright bass, and leo ki’e ki’e (traditional Hawaiian falsetto). 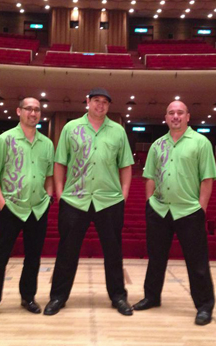 Espaniola has performed with Hawaiian music legends Nathan Aweau, The Brothers Cazimero, Amy Gilliom and Ledward Kaapana. In 2007, he received the New Artist of the Year award at the Hawaii Music Awards for his mesmerizing collection of traditional and original Hawaiian mele. His debut album, “Ho’omaka,” transports the listener to the Hawaii of yesterday with soaring falsetto vocals, nahenahe slack key guitar, and rhythmic ‘ukulele. • Kale Hannahs, David Kamakahi, and Matthew Sproat together comprise the group Waipuna. These Kamehameha graduates pride themselves on respectfully pushing the limits of traditional Hawaiian music while perpetuating the music of their predecessors. The combination of instrumental prowess, strong harmonies, and a passion for music has garnered Waipuna five Nā Hōkū Hanohano awards, including Group of the Year in 2012, back-to-back Single of the Year awards for 2012 and 2013, and 2014 Extended Play (EP) Album of the Year. General seating is $25; VIP seating is $50. VIP seating includes a meet-and-greet reception with the artists prior to the concert from 5 to 6:15 p.m. Reception includes drinks and pupus. To purchase tickets online, click here. There will be a $3 handling fee.